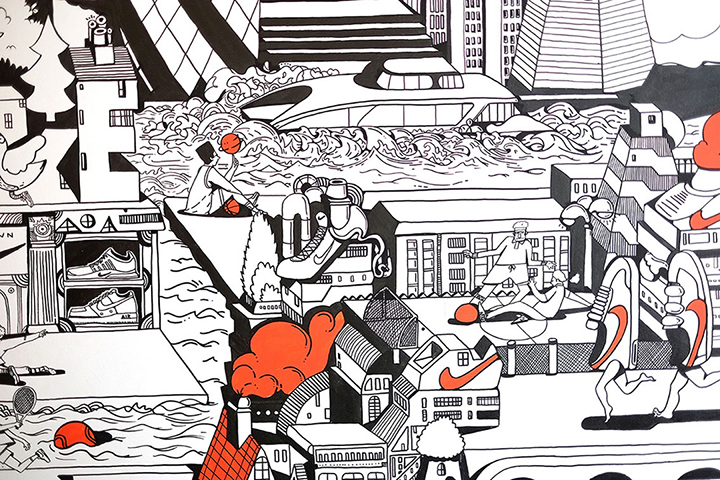 I can remember the first time I was invited into the UK Nike HQ – trying to retain my extreme levels of excitement in order to remain professional. 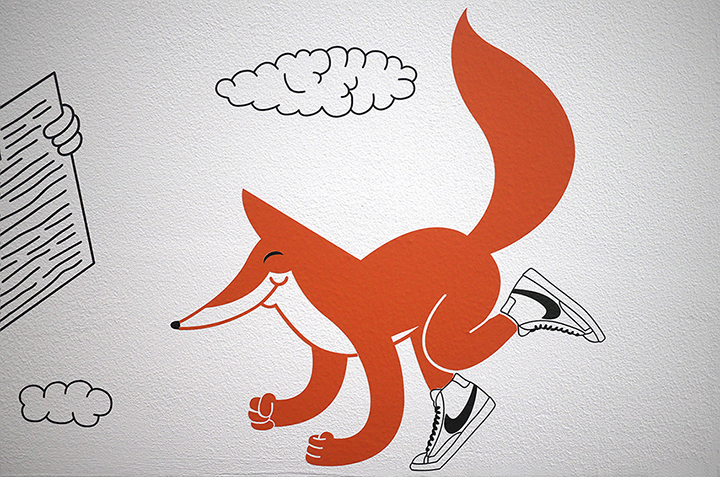 I know this won’t be of interest to everyone buying Nike kicks at the moment, but to a select few it will be exciting. 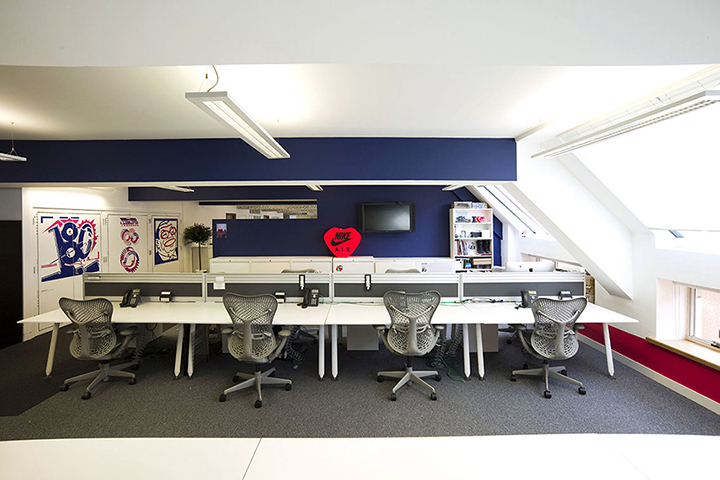 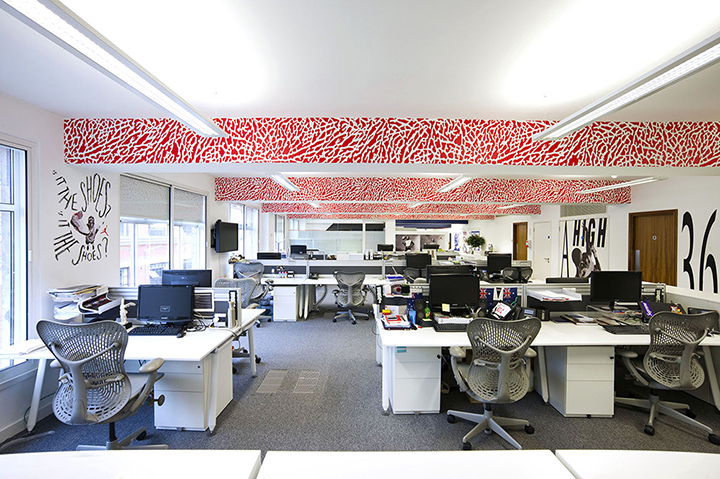 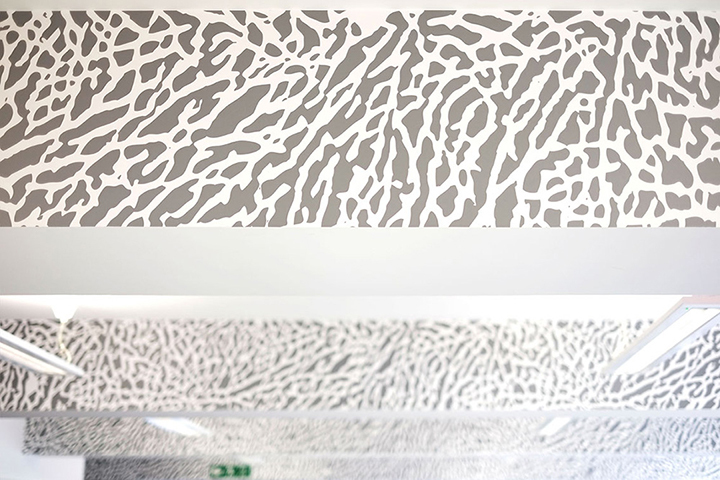 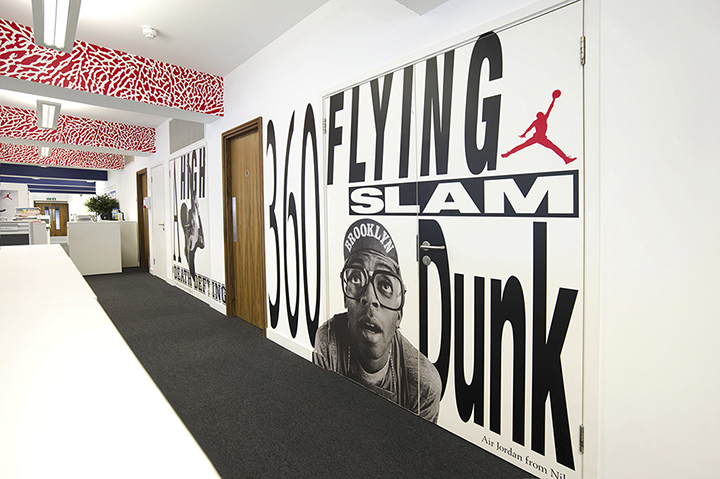 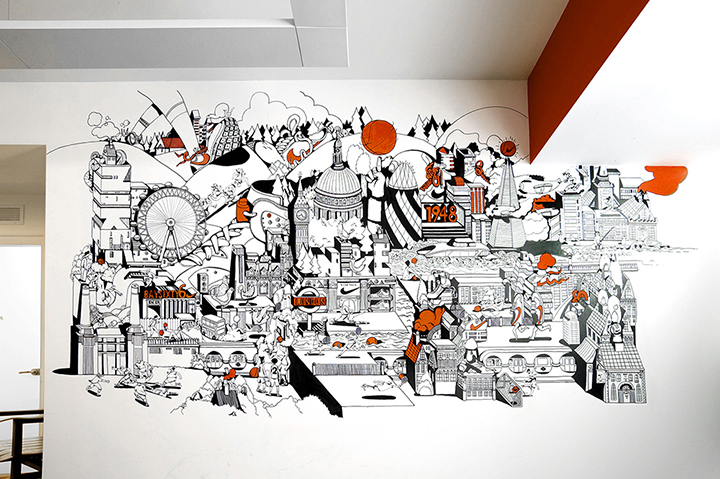 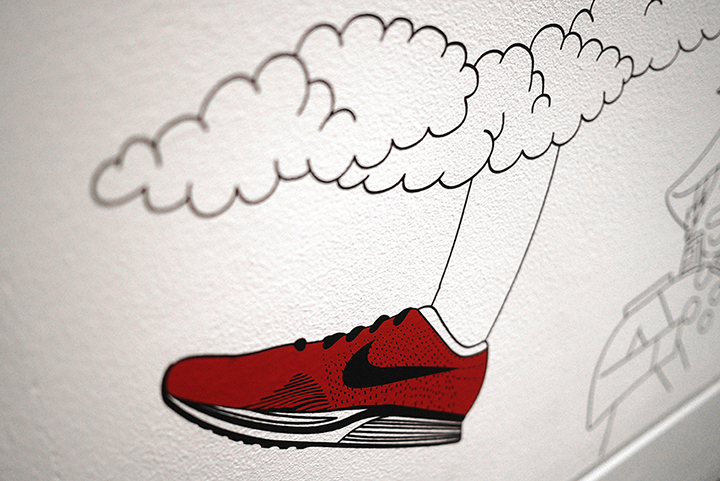 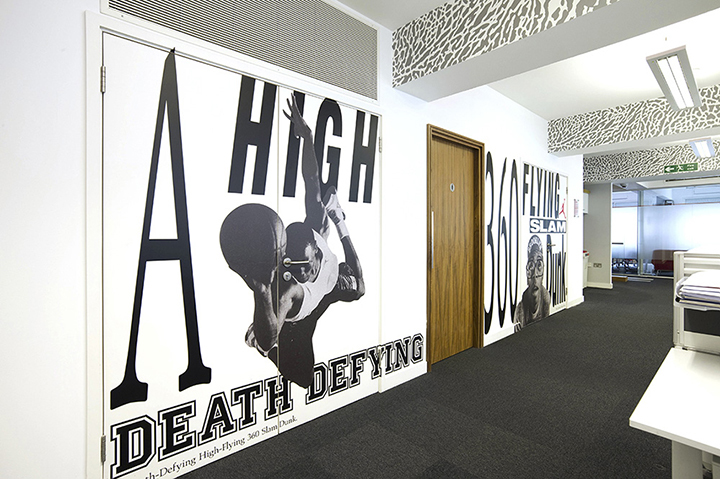 Rosie Lee have given all three floors of the UK Nike HQ a lick of paint and we like how it’s turned out. 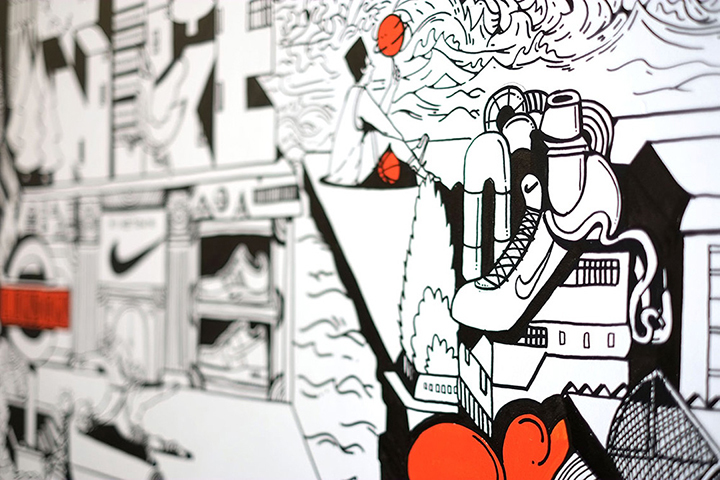 Taking inspiration from some key products, athletes, moment and colours from the Nike camp over the years, the design references things such as Nike Fuel, Free, Air Max 180, Mercurial, Mars Blackmon, Volt, the (old) shoebox orange, cement print and a wealth of London specific items hidden in the drawings on the walls. 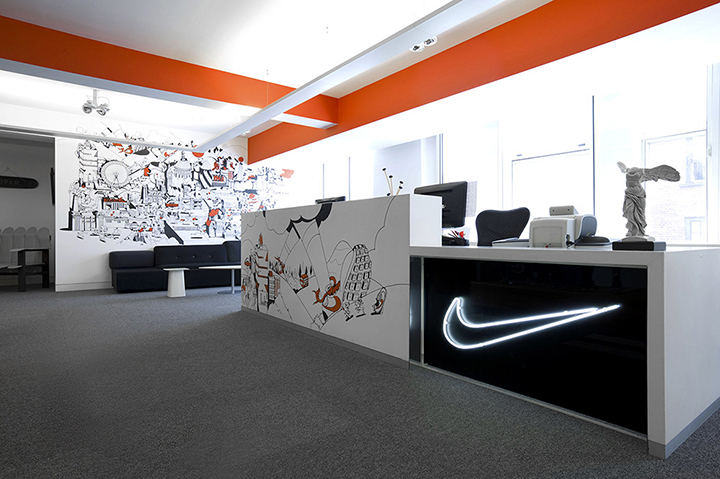 It’s very impressive and I’m sure that any Nike fan would happily spend an afternoon getting lost in the scribblings on the walls.